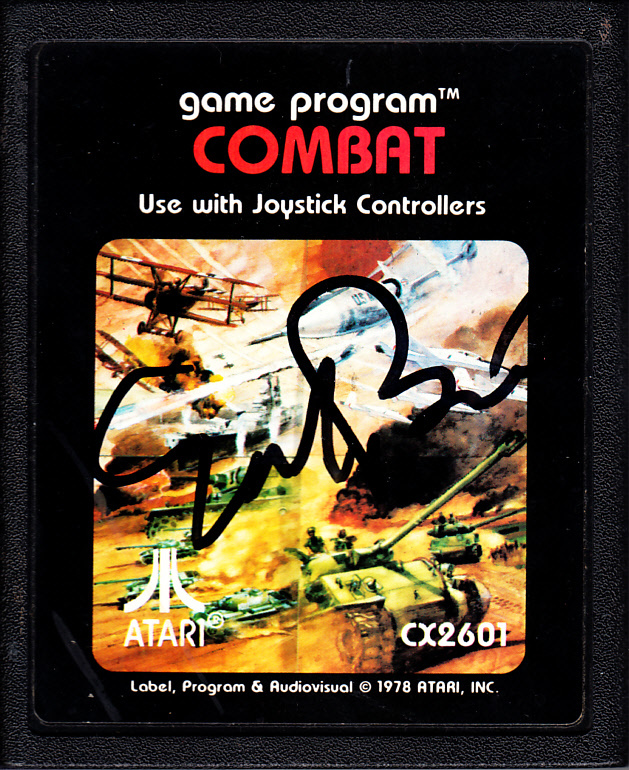 Original Atari 2600 Combat video game cartridge (one of the 9 launch titles) autographed in black marker by legendary Atari founder Nolan Bushnell, widely considered to be the founding father of the video game industry. 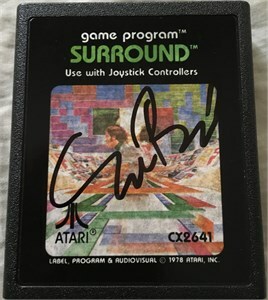 Obtained in person at 2014 Comic-Con appearance, with certificate of authenticity from AutographsForSale.com. Cartridge is in excellent used condition and probably still works although not advisable (and has not been tested). ONLY ONE LEFT.